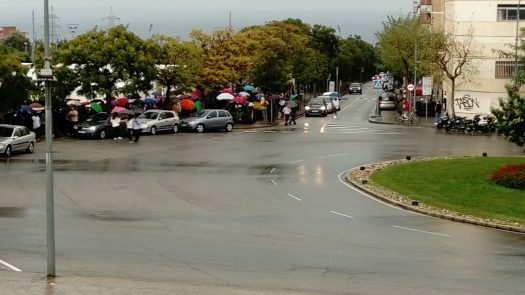 In the early morning, voters protect the polling station. 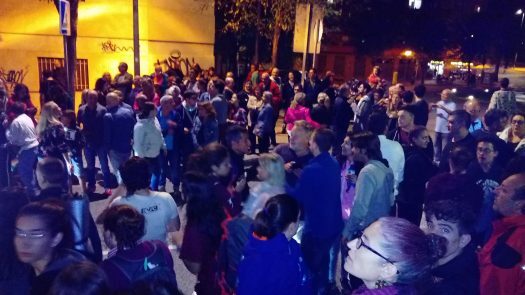 In the centre, people chant "Votarem" ("We will vote"). 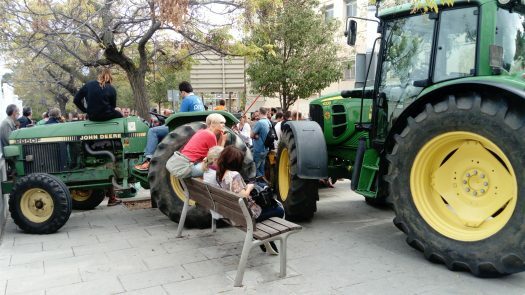 Tractors protecting the polling station. 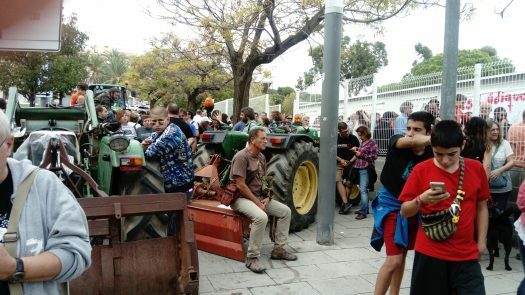 The farmers block the entrance to the centre. The people lock themselves inside to protect the centre. 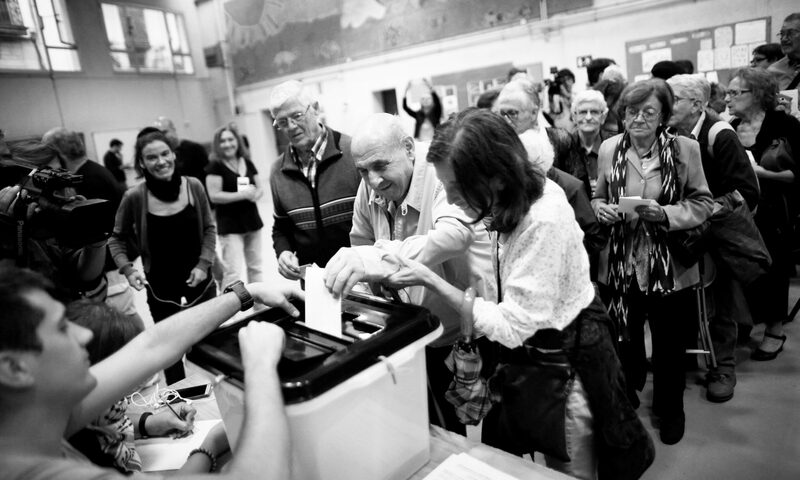 Voters singing "Votaremos" ("We will vote"). People applaud when the firefighters pass. The voting finishes, the tractors leave to applause.